Who starts a new book at midnight on a Friday night? (It helps that my kids are at Camp Nonna for a few days and I have been enjoying not having to wake up at the crack of dawn). Katie recommended this book (and series) to me a few months back and I finally am getting around to it. So far so good! It’s young, it’s fantasy, and it’s got great reviews. I’m ready to dig in as soon as I’m done writing this post. 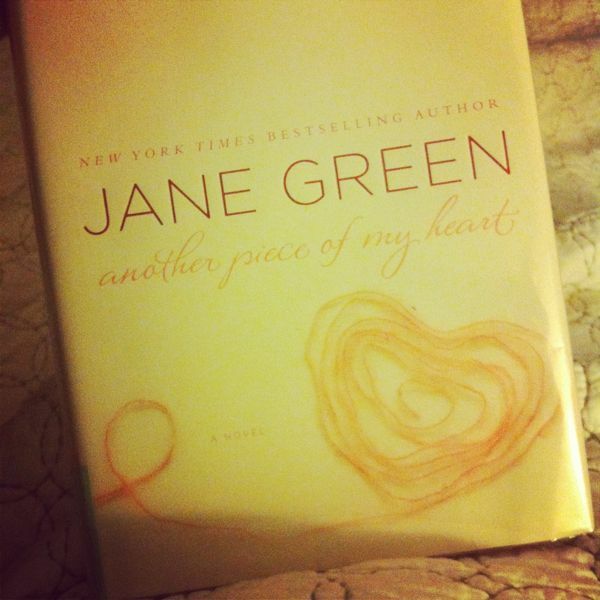 I just finished up a quickie read, Another Piece of My Heart by Jane Green. It was a good read, a story full of family drama and relationships. I always like Jane Green books, and if you like Jodi Picoult you will probably enjoy this book as well. As always, I can’t help but have a little non-fiction on the side. 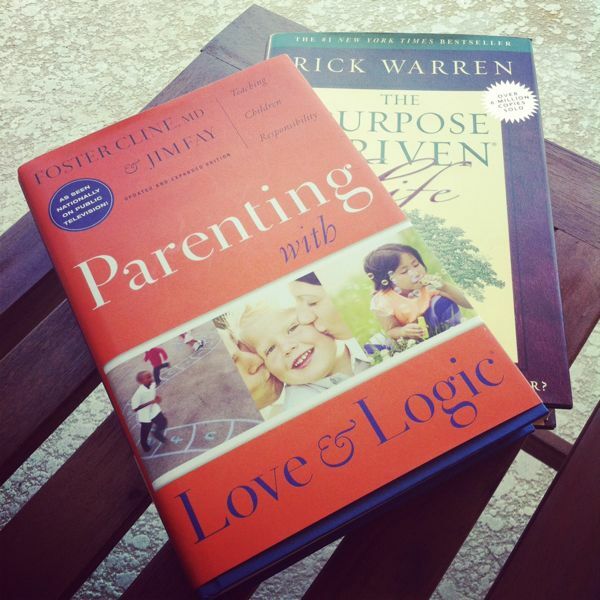 I haven’t dug into these as much as I’d like to lately, though I have read a chunk of Parenting with Love and Logic and love it so far. I’ve found myself starting to train my parenting ways based on what I’ve learned. Good stuff. Shaina loved Divergent and just finished Insurgent…I just put the first one in my queue at the library. She says “better than the Hunger Games”…. Marly just finished The Help and is reading Bridget Jones Diary. Jenna is reading Grace for the Good Girl. Kim is reading Made To Crave and started a Summer Book Club on it. So, what are you all reading so far this summer? Any good ones? I love this post, Aggie! It’s so much fun to see what my friends are reading and get ideas for new books to check out at the library. I haven’t been reading as much as I want for a *long* time and am trying to change that. I love to read before bed and late into the night as well. I’ll be putting some of these books on my Goodreads “To Read” list! that’s my favorite time to read – before bed. I’m also getting in habit of taking book along with me, and just reading for a few moments during the day. Keeps me off line and wasting time on Pinterest, lol. 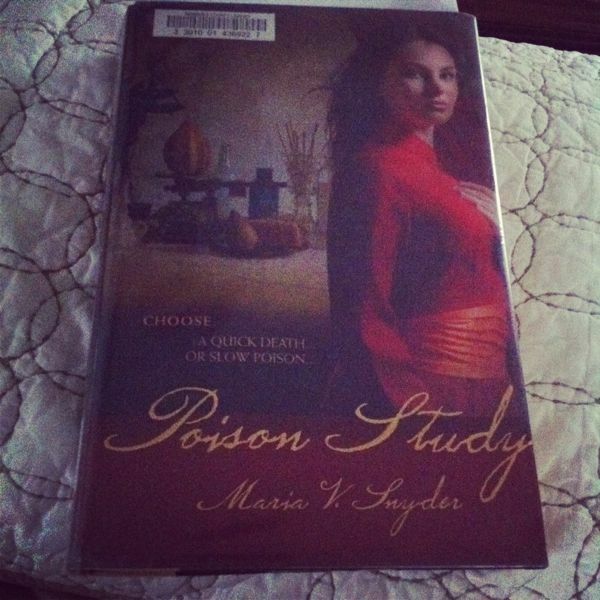 LOVE the Study and Glass series! I just finished Divergent and I actually thought The Hunger Games was better…and I didn’t much like that book either. LOL I was kind of bored reading Divergent while The Hunger Games kept my attention. I just finished Lone Wolf by Jodi Picoult! I’m totally picking up Grace for the Good Girl, I think its right up my ally as well. Hope you and the fam are well Katrina! Love this post, thanks for the suggestions. I did the same thing after I finished The Paris Wife. Totally agree with you regarding 50 Shades…I only read the first and last books as I thought…enough is enough, but I had to see how it ended. I just ordered Gone Girl as it got some very good reviews and Yes Chef by Marcus Samuellson (who I like from the Food Network.) I also have Defending Jacob on my summer reading list. So many books, so little time..plus keeping up with my child’s summer reading as we usually read the books together and have a mini book club. I had to see how it ended too. The first 2 were enough for me, I was happy to finally move on, lol. Thanks for sharing what’s on your list! Will keep my eye out for them. Love the idea of a mini book club with your child! Fun! It’s so great to see what others are reading. Thanks for sharing this list! Thanks for the suggestions! 50 Shades bored me to tears…didn’t even read the 3rd…I was so over it by the middle of the 2nd book. I just finished reading “Elizabeth Street” & it was one of the best books I’ve read in a LONG time! If you haven’t read “The Kitchen House” by Kathleen Grissom…you must! SO GOOD!!! Thank you for the suggestions! Will check both out! Thank you so much for sharing your reading list! I am known to download or check out a ton of books and then never start reading them. Thanks for the push! Lately I’ve been reading books before my daughter does (just to make sure they are OK for her). Her favorite genre of reading is post-apocalyptic, science fiction, action, adventure novels. A series I just finished is Life as We Knew It by Susan Beth Pfeffer. There are 3 books and the series is done. I feel like that will be happening in my home too eventually with my son really getting into reading. Thank you for the series suggestion, will check it out! I love hearing about what other people are reading! The Paris Wife is on my list and now I can’t wait to read it! I’m currently reading Commencement by J. Courtney Sullivan, it’s good so far. Hi, I just finished Commencement and thought it was good. Have you read Maine by the same author? A friend recommended it and it was very good. I really like her writing style. Have you read The Autobiography of Mrs Tom Thumb yet? I think you’d love it! Love that I stumbled across this post a week before my girls beach weekend! I”ll have to check some of these out. Slowly making my way thru 50 Shades right now, whoa. I love this post (can you tell I’m crazy behind on my google reader??)!! I’ve got to add all of these books to my list. I felt almost the exact same way about the 50 Shades trilogy, especially about the third one. I read it just to finish it, but I was pretty much over it by about a third of the way into that one.